« New website, new book! 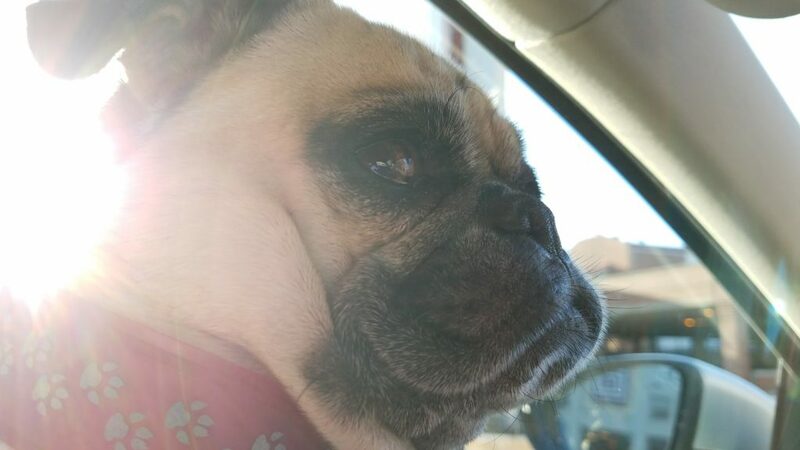 This is going to be a pretty pug heavy post, so before I get to that, just a few tiny updates. Today, I’m r/fantasy’s Author of the Day. You can check that out here if you want to stop by and say hello. Also, I’m well into the second book of the new fantasy series I’m working on. I’m thinking I might share a chapter or two of the first one with you guys soon, so keep an eye on the blog for news of that. It’s an epic fantasy series that will be at least three books long, possibly four. I’m still working through how long the story will take to tell. It’s hard to say at this point. Right now I don’t have a title yet, so in my newsletters you’ll see it as Dawn of Dragons/Day of Dragons. I have several ideas for the title that are far more descriptive of the overall story, but I can’t settle on one yet. As you can guess from the temporary title, the series features dragons in a major way. And yes, I am working on The 11 as well. Don’t fret! Without further ado, the pug that was promised. I keep meaning to share a little something with everyone and time just keeps on slipping, slipping, slipping… anyhoo. 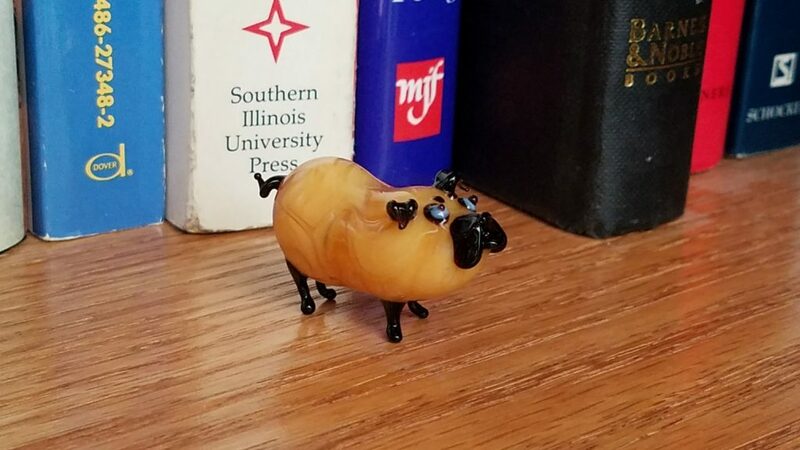 This last Christmas my brother gave me a tiny glass pug. I think it’s too cute. So here, in all it’s glory, is the tiny, peanut shaped pug. 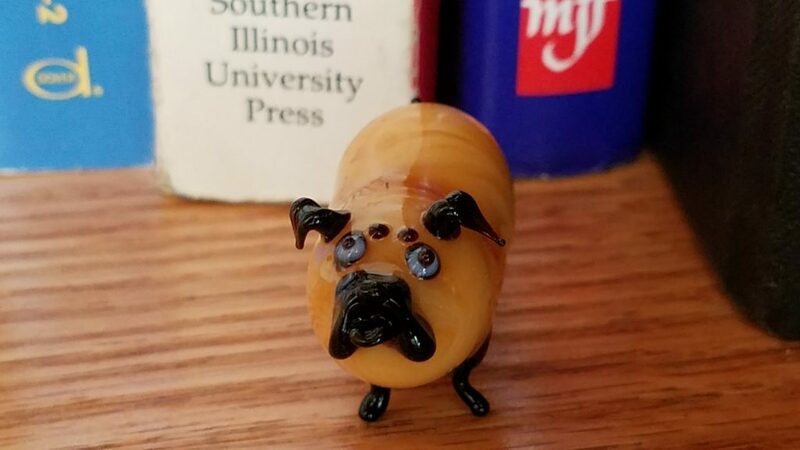 Since my actual pug is also pretty peanut shaped, I think this is a perfect representation of a pug. She tells me otherwise.